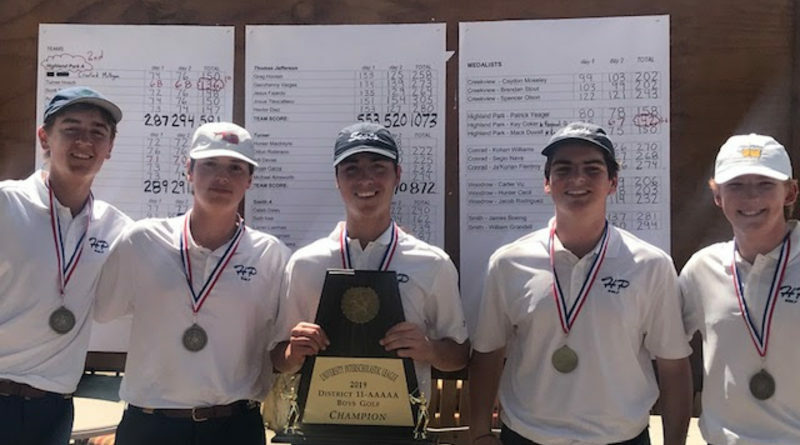 Highland Park’s quest for a third consecutive Class 5A state title kicked into gear on April 4 when the Scots earned the District 11-5A crown at Brookhaven Country Club. 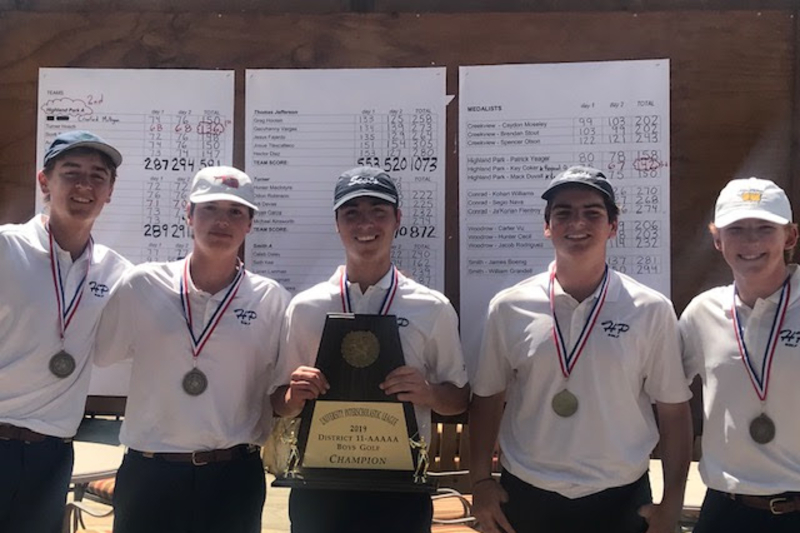 As expected, HP was well represented on the leaderboard at the two-round event, with Turner Hosch (68-68—136) winning the individual title followed by freshmen Christian Clark (71-70—141) and Key Coker (75-67—142). HP’s two teams of five were separated by just one stroke atop the team standings, but were 130 shots ahead of third-place Woodrow Wilson. 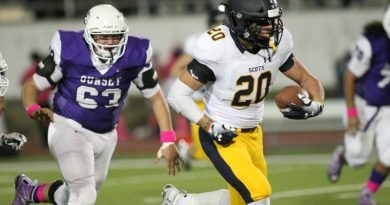 The Scots had the top 12 finishers overall, each of which qualified for the Region II tournament on April 22-23 at Rockwall Golf Club.